10.1002/smll.201802891. [Epub ahead of print] PubMed PMID: 30632269. Molander O, Volberg R, Sundqvist K, Wennberg P, Månsson V, Berman AH. Delphi Method Study. JMIR Res Protoc. 2019 Jan 8;8(1):e12006. doi: 10.2196/12006. SW, Lin FR, Mamo SK, Chen NK, Maciejewski AJ, Duong Fernandez X, Whitson HE. about Happiness: An Exploratory Study. J Aging Res. 2018 Dec 16;2018:4930385. 10.1016/j.cortex.2018.10.030. 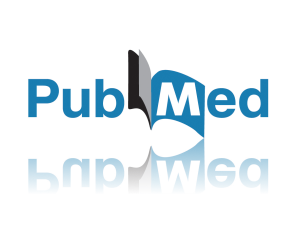 [Epub ahead of print] PubMed PMID: 30638584. Jensen P, Jensen NJ, Terkildsen CU, Choi JT, Nielsen JB, Geertsen SS. Increased central common drive to ankle plantar flexor and dorsiflexor muscles during visually guided gait. Physiol Rep. 2018 Feb;6(3). doi: 10.14814/phy2.13598. PubMed PMID: 29405634; PubMed Central PMCID: PMC5800295.